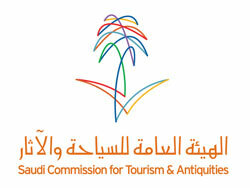 The Saudi Commission for Tourism and Antiquities signed an agreement with the Commission for the Promotion of Virtue and Prevention of Vice on Tuesday. Under the agreement the two bodies will work together to develop the Kingdom’s tourism sector and coordinate programs and related activities. Prince Sultan bin Salman, chairman of the SCTA, signed the agreement with Abdul Aziz Al-Humain, president of the Commission for the Promotion of Virtue and Prevention of Vice. Prince Sultan said “This agreement comes as furtherance of the efforts and cooperation between the two bodies to develop morally clean domestic tourism. Cooperation between them has existed since the foundation of SCTA.” The Prince said the most significant area of cooperation has been the career awareness program carried out by the SCTA under the name Ya Hala (Welcome). This program trains commission staff and personnel from different government agencies about how to deal with tourists.